The prospect of immunotherapy taking a wider stage in patients with breast cancer is tantalizing, and the future success of this strategy may lie in determining the best agents to combine with immunotherapy. In the phase 1b/2 PANACEA trial, Loi and colleagues enrolled 58 patients with advanced breast cancer who had progressed on previous trastuzumab-based therapies.1 Tumors were assessed centrally for HER2 positivity and PD-L1 status, and for quantity of tumor-infiltrating lymphocytes. The investigators found that patients who had a high expression of a marker called PD-L1 benefited uniquely from the addition of pembrolizumab to trastuzumab. In this subset of patients, approximately 15% had further tumor shrinkage with the combination and 24% had their disease controlled. They also learned that patients who had more lymphocytes within their tumors were more likely to respond to the immunotherapeutic combination than those who had little or no lymphocytes that infiltrated the tumor. In another study, KEYNOTE-086, pembrolizumab by itself demonstrated durable antitumor activity in patients with metastatic triple-negative breast cancer, a difficult-to-treat subtype of breast cancer.2 Of the 25% of patients who responded to pembrolizumab in this study, the duration of response exceeded 10 months. Patients survived a median of 19 months after starting pembrolizumab. As in the PANACEA study, patients who had many lymphocytes in their tumors were more likely to respond to treatment. As tumor lymphocyte infiltration appears to be higher in earlier disease, the next question is whether treating patients earlier with immunotherapy (before they develop metastatic disease) will yield even better results. According to Elizabeth Mittendorf, MD, PhD, Associate Professor in the Department of Surgical Oncology at The University of Texas MD Anderson Cancer Center, combinations of drugs with immunotherapy probably represent the future of immunotherapy in breast cancer. A focus of interest is the choice of agents to combine with immunotherapy. An agent that is showing promise is eribulin mesylate (Halaven) used in combination with pembrolizumab. Eribulin is a drug isolated from a marine sponge. It is currently approved for the treatment of patients with metastatic breast cancer who have previously received an anthracycline, such as doxorubicin (Adriamycin), daunorubicin (Cerubidine, DaunoXome), and epirubicin (Ellence), and a taxane, such as paclitaxel (Taxol) and docetaxel (Taxotere), in either the adjuvant (postsurgical) or metastatic setting. Other agents that may enhance immunotherapy in breast cancer are PARP inhibitors, such as olaparib (Lynparza), which was recently approved for the treatment of patients with metastatic breast cancer whose tumors have an inherited (germline) mutation in the BRCA gene. PARP inhibitors block an enzyme involved in repairing damaged DNA. DNA inside cancerous cells with damaged BRCA genes may be less likely to be repaired, leading to cell death and possibly an interruption or stoppage of tumor growth. The accumulating DNA damage with the use of a PARP inhibitor may make tumors more susceptible to immunotherapy, Dr Mittendorf explained. In the MEDIOLA trial, patients with locally advanced or metastatic HER2-negative breast cancer and a deleterious germline BRCA mutation were treated with the combination of olaparib and an immunotherapeutic agent called durvalumab (Imfinzi), which is already approved for the treatment of urothelial cancer.4 For those treated in the first-line setting, the overall response rate was 67% with the combination and survival data look encouraging with 6 months of follow-up. 1. Loi S, Giobbe-Hurder A, Gombos A, et al. Phase Ib/II study evaluating safety and efficacy of pembrolizumab and trastuzumab in patients with trastuzumab-resistant HER2-positive metastatic breast cancer: results from the PANACEA (IBCSG 45-13/BIG 4-13/KEYNOTE-014) study. Presented at: 2017 San Antonio Breast Cancer Symposium; December 5-9, 2017. Abstract GS2-06. 2. Adams S, Loi S, Toppmeyer DL, et al. KEYNOTE-086 cohort B: Pembrolizumab monotherapy for PD-L1–positive, previously untreated, metastatic triple-negative breast cancer (mTNBC). Presented at: 2017 San Antonio Breast Cancer Symposium; December 5-9, 2017. Abstract PD6-10. 3. Tolaney SM, Kalinsky K, Kaklamani V, et al. 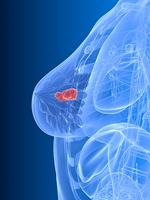 Phase 1b/2 study to evaluate eribulin mesylate in combination with pembrolizumab in patients with metastatic triple-negative breast cancer. Presented at: 2017 San Antonio Breast Cancer Symposium; December 5-9, 2017. Abstract PD6-13. 4. Domchek SM, Postel-Vinay S, Bang Y-J, et al. An open-label, multitumor, phase II basket study of olaparib and durvalumab (MEDIOLA): results in germline BRCA-mutated (gBRCAm) HER2-negative metastatic breast cancer (MBC). Presented at: 2017 San Antonio Breast Cancer Symposium; December 5-9, 2017. Abstract PD6-11.